Selecting the Fastest WordPress Themes for your startup isn’t so easy. Only the Design isn’t enough for a Website. There are a lot of things you must consider before selecting a Theme. Google PageSpeed is one of them. The fastest loading Website always loved by visitors. That’s why choosing Fastest Loading WordPress Themes always a great idea for your upcoming project. Best WordPress Themes are always necessary to make your brand stand out. Selecting free WordPress Themes for a professional Website is not a good idea. You can start your journey with Free Themes but you must upgrade to pro version for getting full features. Most of all Bloggers or Business owner use Google Pagespeed to check any Website and Use Google Mobile-Friendly to check mobile responsive. Personally, I’ve researched the following Themes demo and also sharing screenshot and gif animation with you. These statistics will help you to select the Fastest Theme. Pagespeed and Responsive Test is one of the most important ranking factors for Google. Just click on the “Check Pagespeed” button under each theme to see the live page speed. How Much PageSpeed seems perfect for a Website? Try to make your PageSpeed higher than 60 for both mobile and laptop device. The higher you can achieve by keeping your Website perfect is best for you. You may be thinking what I mean with “keeping your Website perfect”. Sometimes, if you block some script for increasing the page speed, you may notice your Website is broken. So, keep in mind that, you must check your Website design after doing anything for page speed. Let’s check some Themes which provides best Page Speed. All items are arranged by category. You can just focus on the desired category you need. For maintaining a Magazine Website you may need to use some necessary WordPress Plugin. Magazine Website provides a lot of content and images. That’s why you should do a lot of things manually like security, caching configure and so on. 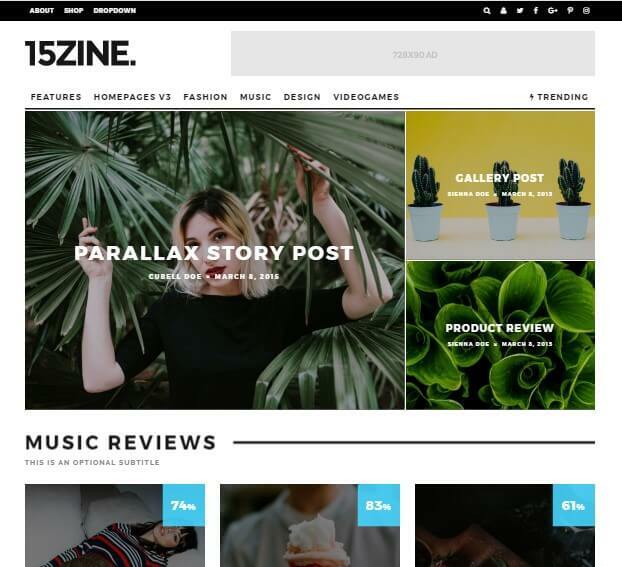 Here are some best Magazine and Blog Theme list. 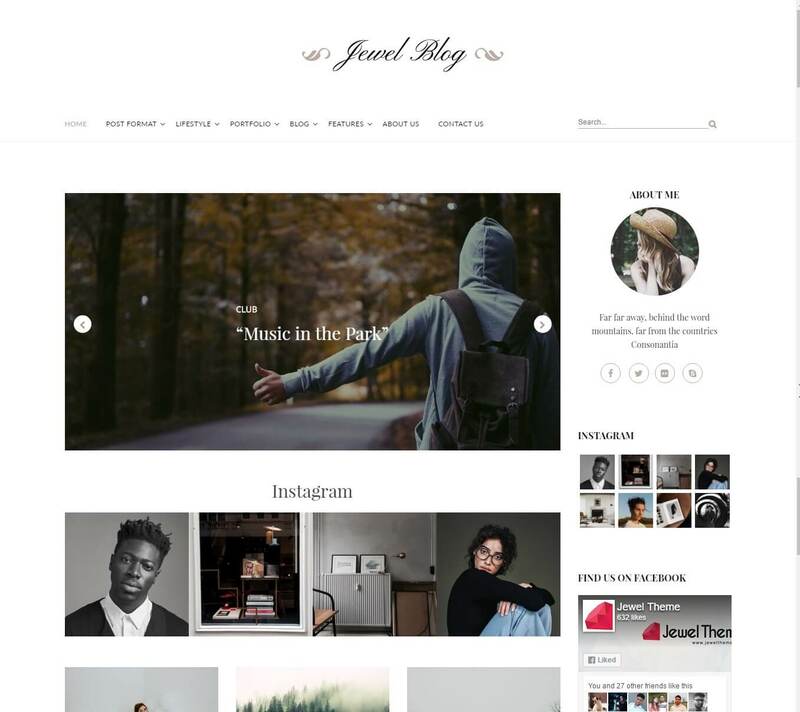 Jewel Blog is a minimal and simple blogging Theme. There is a free version for Jewel Blog too. But you will get limited functionality with it. 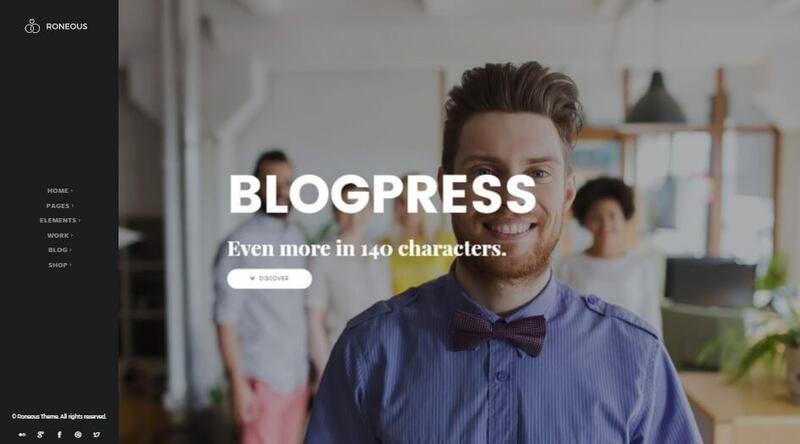 It’s the best Theme which is perfect for your personal blogging life. Cool mega menu and Instagram Feed makes your blogging life easier than ever. There are different types of post format which helps you to arrange your blog post in a clean way. 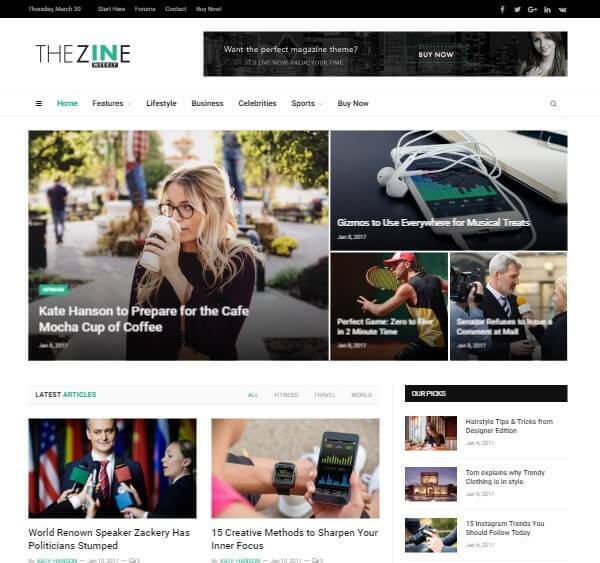 Newspaper one of the most popular WordPress theme in ThemeForest Directory. Newspaper is suitable for your Magazine Website. I don’t recommend it to make your personal blog. Here are a lot of section and functionality which are necessary for a magazine Website. This is definitely a great choice for the News Publisher Website. I love it’s menu design too much. The awesome Mega menu and fixed sidebar make it perfect. As a magazine Website need lots of section you will get everything here too. Here is light or dark version. You can select the best one for your Website. Drag and Drop page builder gonna help you to design special pages for your Website. 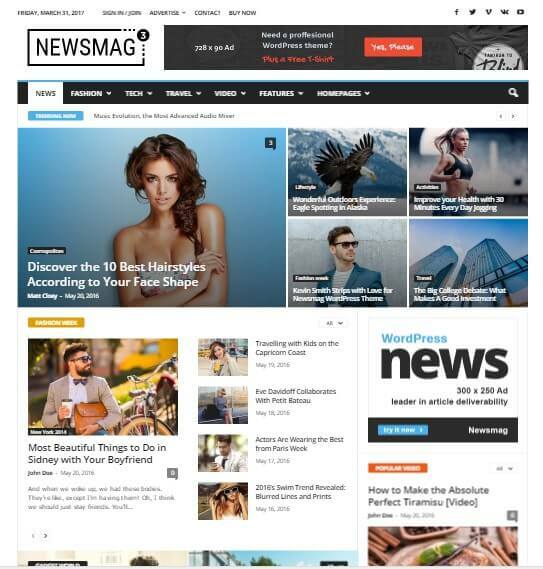 The NewsMag Theme comes with 8 variations of Demo like Car News, Animals Magazine, Travel News, Fashion News, Tech News, Videos News and so on. It has default weather widget, Currency Exchange Widget, Instagram and Social Counter Widget. The Theme option is super cool and anyone can customize the Theme without coding. It’s a Retina Ready Theme and High-Resolution screen device able to get the maximum image or media quality. It’s perfect for making a simple online based magazine website. It comes with some stunning sidebar widget which helps you to showcase popular news, social media, Instagram feed. There are a lot of homepage demos. Just check the variations and decide if it’s suitable for you. It’s also perfect for your personal blog Theme. Directory Themes are more complex than any other Themes. It provides a lot of functionality like submit page, Profile Page, Job Page, Review page and so on. When a Developer Developed a new Directory Theme sometimes they forget to check the page speed and they don’t take care for fast loading. In this section, you will see some Fastest WordPress Themes for your directory or job listing Website. Quickly make a Brand new Directory site without having a degree in Design. Listify the great choice to make any type of Directory Website. Simple Drag and Drop Page builder available within this Theme. Just add necessary elements into your Blog post or pages and arrange everything. 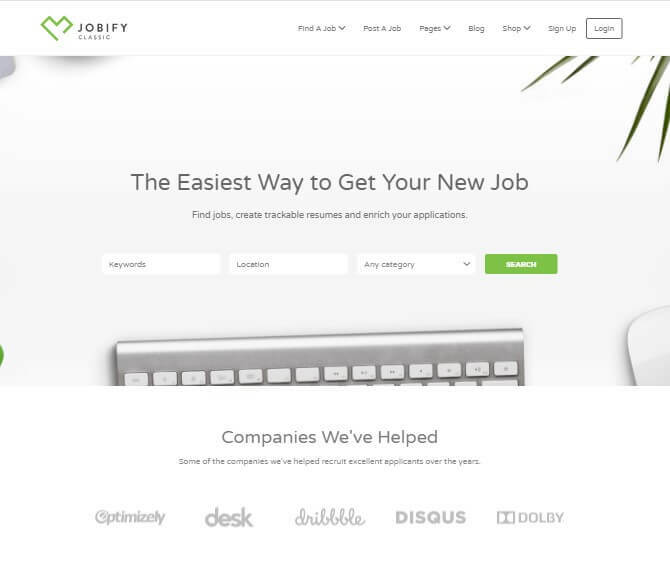 Jobify is great for any job portal Website. It’s easy for visitors to register and submit job. Setup the full website within 5 minutes with demo content. No need extra configuration to set up the Theme. You can hire your own designer and create awesome page with the page builder. Listable can provide the best user experience. For each Directory Website, register and submission page is a great fact. This Theme will make your Website registration and submission easier. It’s easy to show or hide maps from your listing. Visitors can submit their review without login too. 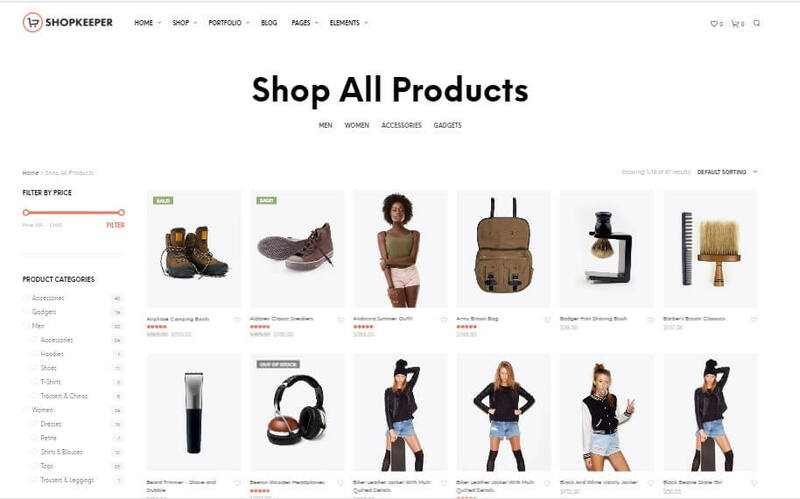 WooCommerce the best Plugin for making a shopping Website with WordPress. All Themes are not compatible with WooCommerce. 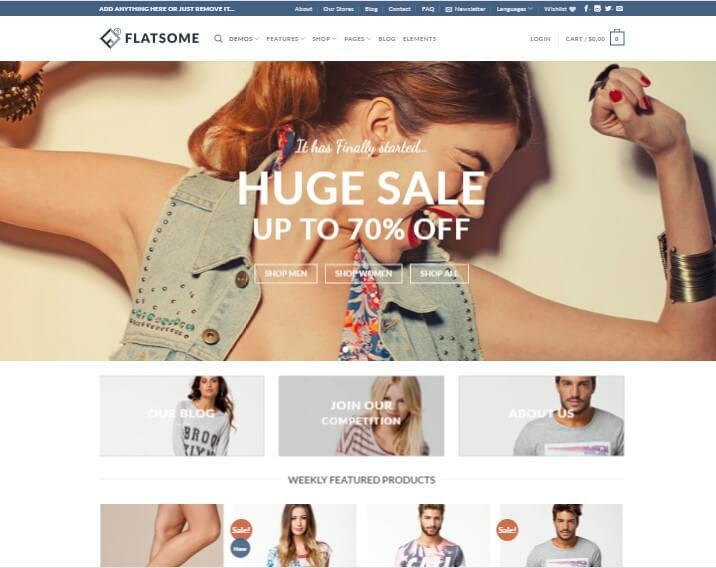 There is a few Theme which configured properly with WooCommerce. eCommerce website seems more complex with functionality. It needs more images to showcase with products or slider. Drag and Drop page builder is a great feature of the Theme. Though the Theme provides a lof of homepage variations but you can create your own variations easily yourself. It comes with more then 40+ demo variations. Just import your desired demo look related to your business and you are done. 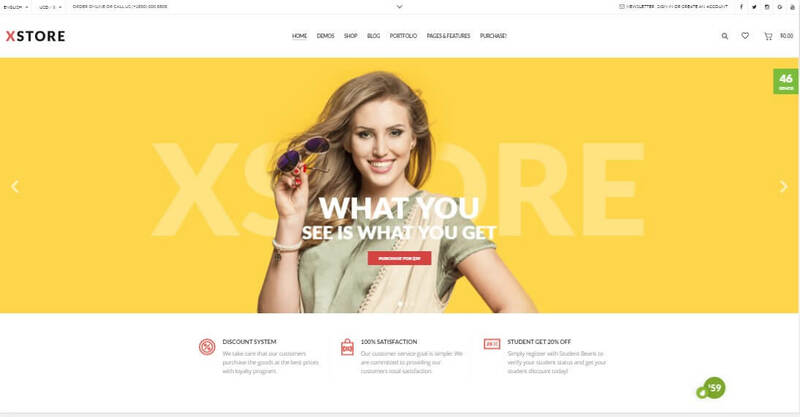 Making a brand new Website with XStore is super easy. It developed with some premium plugin like Slider Revolution, Visual Composer, Smart Product Viewer (helps to add 360-degree image preview), infinite scroll and so on. Lot’s of prebuild Page layouts available. Select your necessary pages and delete all unwanted pages after installing it. A lot of Home Variation, Shop variations, Portfolio Variations for you. The advanced Theme option will help you to customize it easily. Create your own header style with Shopkeeper. Update your upcoming news via awesome blog post and showcase it in a great look. Managing Class, Routine, Training, Students, Teacher is not so easy. Just selecting any Theme is not a good idea for making a school management website. You must need to use perfect School Management Theme to arrange all data perfectly. 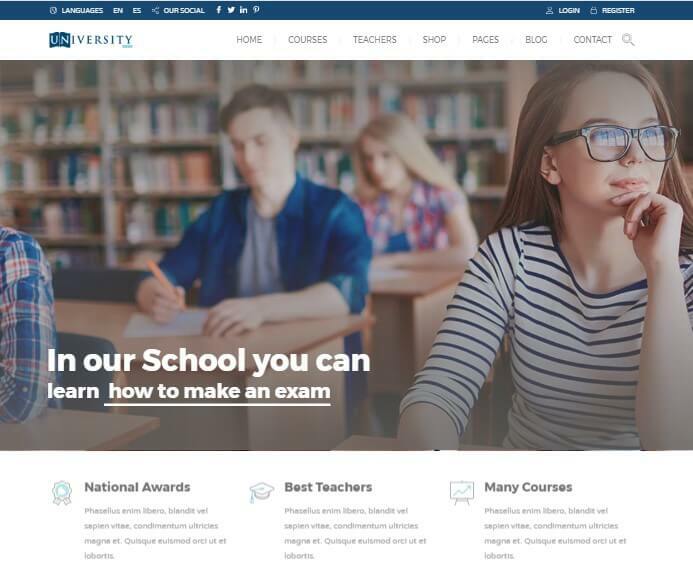 This Theme especially made for the educational web, LMS (Learning Management System), Training Center, Courses Hub, College, Academy, University, School, Kindergarten. It developed With a popular LMS Plugin named LearnPress. Two types of page builder system added for creating unique pages. 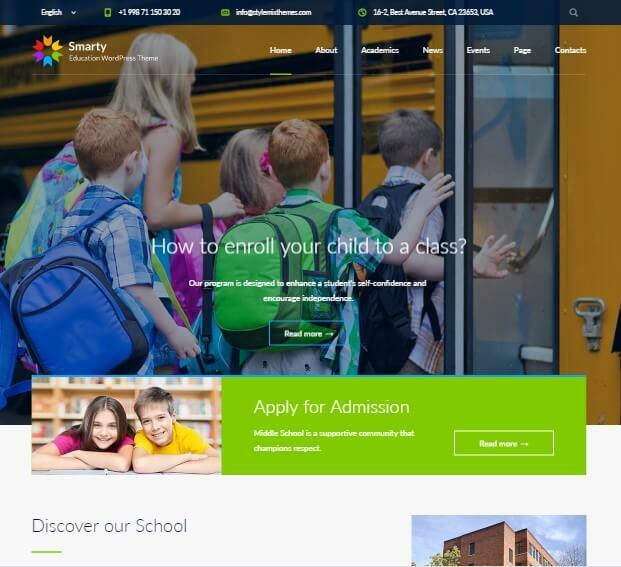 A great WordPress Theme for Kindergarten, Learning Center, College or University. It has three types of variations named Kindergarten, School, and University. One click demo importer helps to arrange full website like demo within a few minutes (The time depends on your Server Speed, sometime it may take more than 5 minutes.). You can translate the full Theme into your mother language because it’s a translation ready Theme. Nine types of demo variations with tons of necessary pages like Account, Document, Compare, Review and so on. It is the winning choice for creative education website (Dance, Music, Language, Driving). You can sell your online courses via woo-commerce. 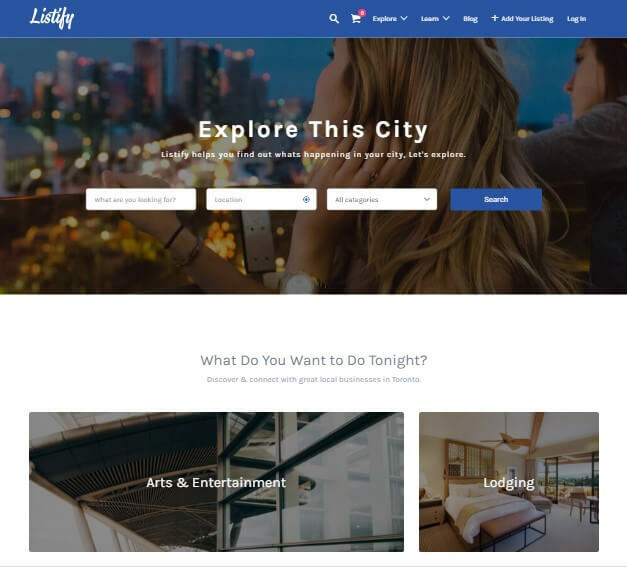 Gravity forms, Visual Composer, WPML integrated. Portfolio Themes are suitable for creative person or business. Photography Themes sometimes seems perfect to showcase graphical or video portfolio. In this list, you will get perfect Theme for your portfolio with page speed and SEO factors. Here are some Fastest WordPress Themes for your portfolio Website. MAMA Theme Developed with a creative mind. If you are planning to create your Design Agency Website then definitely MAMA is perfect for you. Smooth scrolling effect within one page makes it super suitable for creative people. Bateaux has different types of demos but I’ve listed it on portfolio Section because of it’s Design. It’s mainly a Portfolio Theme, but you can use this Theme for your Creative Agency Website too. 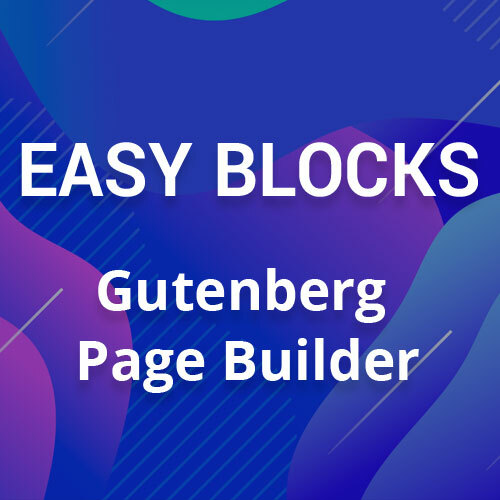 It developed with an awesome page builder you may not see before. Eight types of menu variations are enough to satisfy you with header look. It compatible with Woocommerce, Revolution slider, Layer Slider, WPML, Yoast SEO and Contact form 7. 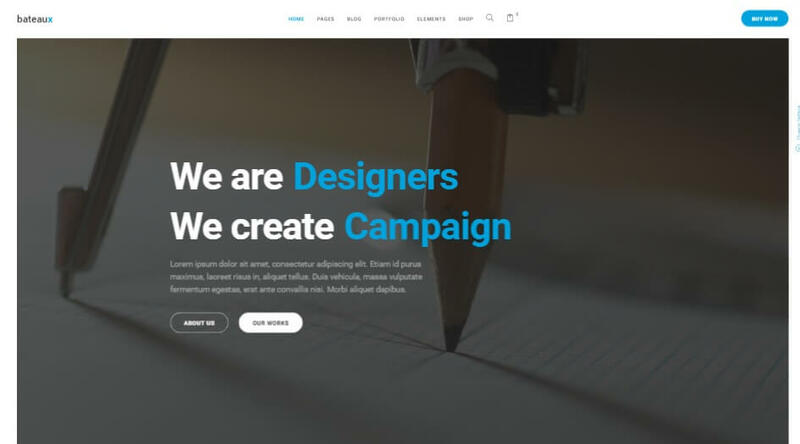 It’s a Creative Multipurpose WordPress Theme. 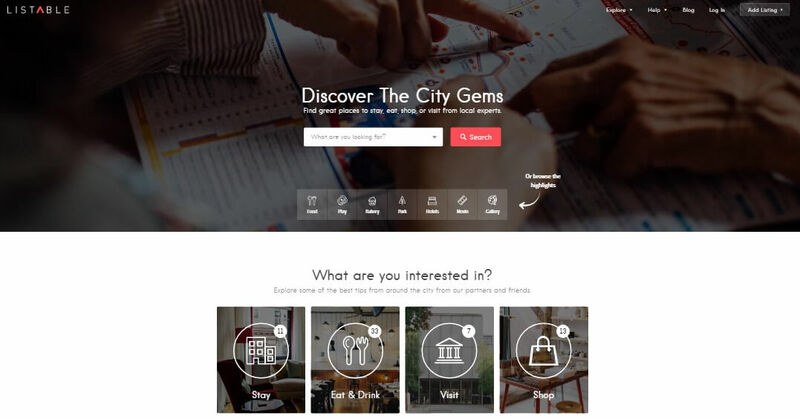 25+ Homepage concepts gonna help you to arrange your personal portfolio or business Website within a few minutes. Install Child Theme and customize the Theme if you are advanced coder. Updating Theme will never lose any data in future. One click demo import, Live Preview customizer, Built in visual elements help you to customize and arrange data easily. That’s all Fastest WordPress Themes Collection. I will continuously keep this post updated with time. Google Responsive and Page Speed booth are the fact for SEO. If your site takes too long to load, visitors will leave your website quickly. It’s the main reason for increasing bounce rate and you gonna lose your rank. If you face any problem feel free to contact us via general topic of our forum. We will provide you the best solution to make a fast Website.